(Hamptons, NY) — In the Hamptons, no hamlet here can compare to Sothhampton, which boasts the most exclusive and expensive beach houses and mansions. But the five-mile stretch of land on Meadow Lane in Southhampton proves to be the priciest neighborhoods in the world, which boasts ocean front properties along seven miles of shoreline and which can cost up to $100 million. The area is so elite that Forbes once dubbed Meadow Lane as “Billionaire Lane. To this day, the appellation still sticks. Only one area can compete with Billionaire Lane in terms of its very elite status, and that’s Billionaire’s Row on 57th Street near Central Park in the heart of New York City, so called because it so happens that a cluster of some of the wealthiest live near each other in that area. Like Billionaire’ Row, the multi-millionaires, high profile moguls, Wall Street tycoons and movie stars who reside on Billionaire Lane all live within throwing distance on the same stretch of road. One reason why the town of Southhampton is so popular is because it’s the closest to New York City, less than 100 miles to be exact. To get there in less time, the neighborhood’s most affluent individuals take a private helipad that’s very close to the hamlet, which can whisk them away to Manhattan in only 20 minutes. So who lives on Meadow Lane? Take a look at some of the most exclusive properties and the seven billionaires who own them. 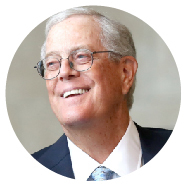 Koch, who is the executive vice president of Koch Industries, happens to be the wealthiest man on Meadow Lane, with a net worth of around $48 billion. His 7-bedroom 9 bath home, dubbed “Aspen East,” is worth around $23.2 million and boasts a pagoda, a tennis court and a seaside pool. Koch also owns a $17 million duplex in New York City, which has 18 rooms and is located in the city’s most exclusive building, 740 Park Avenue. 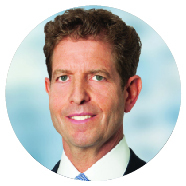 Daniel Och, chairman and CEO of Och-Ziff, a global hedge fund, is also an investor and philanthropist. 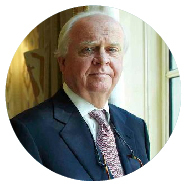 In 2017, Forbes concluded that Och’s net worth was around $3.2 billion. Och lives on a 7,120 square-foot 4-acre estate that includes a pool and spa. Och spent $26.5 million in 2006 for the house, which was formally occupied by the furniture mogul Robert Villency. The successful designer, Calvin Klein, purchased a home on Meadows Lane for $30 million in 2003, an enormous estate that many likened it to a castle. He then tore the home down to build his dream house that took many years to complete, and which would include every amenity he desired. The result was a glass-and-concrete mansion, which reportedly cost Klien $75 million to build, making it one of the most expensive homes on Billionaire Lane. The contemporary mansion has floor to ceiling glass that wraps around the entire property. This aesthetic lacks some privacy, but it is part of the home’s minimalist design, which is why every room has sliding doors that allow you to reorganize them whenever you want. White, the very essence of minimalism, is the dominant color here, and can be found in the living room’s white couches, among other places. In addition, Le Corbusier provided many of the vintage furniture for the home. The White House is often portrayed in movies and on television shows as having a private, underground tunnel to whisk the president away in case of an emergency. Klein, who’s net worth is an estimated $700 million, also has one. His house is connected by an underground passageway to a neighboring building where he reportedly intends to use as a screening room. Jimmy Tisch, the CEO of Leows Corp, is a member of the uber-wealthy Tisch family, and his net worth is reportedly around $2 billion. Once named one of the most powerful people in the Hamptons, Tisch purchased his estate in 2014 for $41 million, which boasts 11 bedrooms spread over 8,000 square feet. The estate happens to be the same mansion that played a primary part in the movie Something’s Gotta Give, which starred Diane Keaton and Jack Nicholson. The home is a dominant backdrop for many of the most important scenes, and is owned in the movie by Keaton. However, the interiors were filmed on a set, and only the house’s exterior was used. This didn’t matter to many who drooled over the Hamptons-perfect home with its beautiful rooms, including Klein’s study and his chef’s kitchen. Many coveted the interior so much that they copied it. 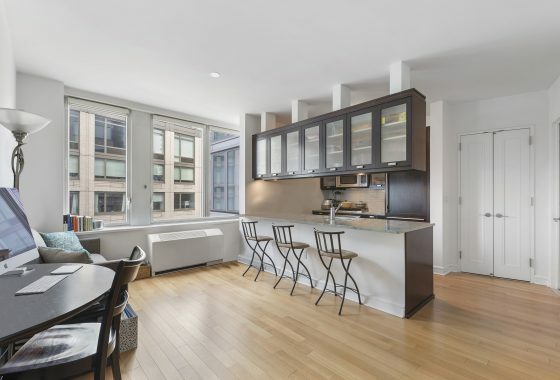 Even now, fans of Tisch’s home, still hunt for the property to get a glimpse of it. 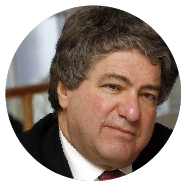 Leon Black, co-founder of the private equity mega-business Apollo Global Management, also lives on Meadow Lane. He purchased his four-lot compound that stretches from ocean to bay for $43 million. Black, known for spending millions on the most expensive estates, is also an avid art collector. He doesn’t just dabble in pricey pieces. It’s a serious (and expensive) hobby, and his collection is estimated to be worth a jaw-dropping $2 billion. Black, 65, can afford such luxuries because his net worth is reportedly around $6 billion. 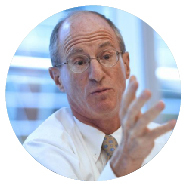 The HBS grad is also a philanthropist, who has donated millions to the Melanoma Research Alliance after his wife Debra survived cancer. Like Leon Black, Gerald J. Ford, the managing member for the Ford Financial Fund, spends his reported net worth of $2 billion on extravagant mansions. He owns a thoroughbred farm in Kentucky, a home in New Mexico, an apartment in Manhattan and an estate in Texas. 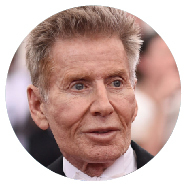 Ford, 72, also lives on Meadow Lane, a three-lot compound, which includes a 6,000-square-foot five-bedroom guesthouse that he bought separately for $10 million in 2011 and which is across the street from his mansion. The father of six spends most of his time at his Dallas home, and also can be found in Meadow Lane, especially during the hot summer months. 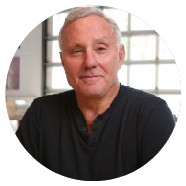 Ian Schrager, an entrepreneur, hotelier and real estate tycoon, is often credited as co-creating the concept of the boutique hotel, dwellings that are significantly smaller in scope from larger, worldwide lodgings such as the Hilton. The Schrager hotel is known for its affordable rooms, but they are also luxurious and stylish and attract a more sophisticated traveler. His hotel lobbies are also known for attracting the A-list crowd, mostly because they sport hip bars and attractive decor. But Schrager is best known as being the co-owner and co-founder of Studio 54. Schrager, 70, is a long-time resident of Meadow Lane, having purchased a 10-bedroom estate in the 1980s and which has a reported value of over $19 million. His wooden home, which features a tennis court and a swimming pool is just down the street from Calvin Klein’s property. Ian Schrager’s latest venture is his partnership with Marriott International that is set to create a set of intimate and unique hotels such as the ones he owns but with a more global reach that only Marriott can operate. The goal is to build 100 properties all over the world, and there are currently four that have been completed. These hotels are located in London, Miami Beach. New York City and Sanya, which is in China. Up next are Bangkok, Times Square and West Hollywood, to name a few. Author: BrokerPulseThe Go-to Source for Daily Happenings in New York Real Estate. NYC Independent News Source Covering Real Estate News, Innovation and Industry Opinion.